It owns 8 GEPON ports (E8604T has four GEPON ports) and 8 Gigabit COMBO Ethernet port, the height is only 1U for easy installation and space saving. Each PON supports up to 64 terminals, the whole device supports up to 512 ONUs under full configuration. 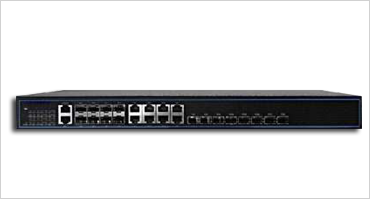 E8608T adopts advanced technology to support SLA and DBA to keep strong function on the Ethernet and QoS features. E8608T is applied for commercial and grid network digital management to provide perfect, smart, strong, advanced, professional solutions for "automatic distrution" and "electricity informaction collection" in the implemented project for the national grid. CLI, Web, SNMP, TELNET, cluster etc.